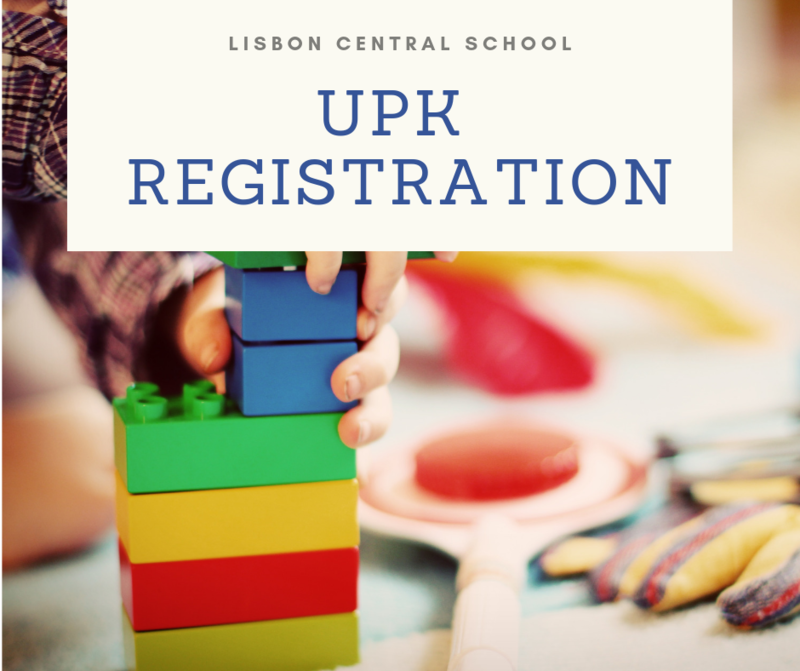 Lisbon Central School will again offer a Universal Pre-kindergarten Program for the 2019-2020 school year. Students who participate in this program will get a high quality pre-school experience that meets the NYS Learning Standards and helps to prepare them for future school success by developing strong foundational skills in early literacy and numeracy. Children who turn 4 on or before December 1st are eligible for this program. are 3 years old until their 4th birthday. The hours of operation are 8:10 a.m. – 11:00 a.m. and 12:10 p.m. – 3:00 p.m. Breakfast will be served to the a.m. group and lunch will be served to the p.m. group. Our Universal Pre-kindergarten program will follow the school calendar.